This contemporary 52" LED ceiling fan features a matte white finish and a frosted acrylic diffuser. Three matte white finish ABS blades. Two-in-one remote combo: Hand-held remote control and wall mount remote control. Includes 15 watt LED. Light output is 780 lumens, comparable to a 60 watt incandescent bulb. 3000K color temperature. 90 CRI. 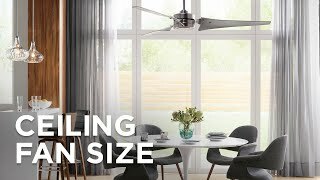 Fan height 6.7" from ceiling to blades. Fan height 9.2" from ceiling to bottom of light. I like the size and shape of the fan - hope it looks as good in person as online. Sleek and tight to the ceiling for an 8 ft ceiling area. What does it mean , that it needs a 3rd wire? 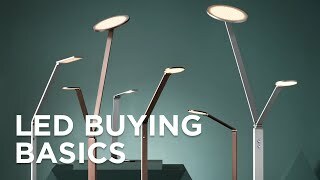 How long does the LED last for? BEST ANSWER: LED lights can last up to 50,000 hours. 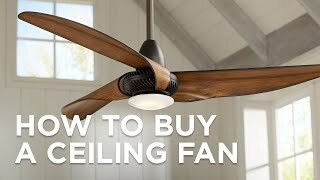 how much air does this fan move? BEST ANSWER: The airflow/CFM measures 2,804. BEST ANSWER: Yes, the lights are dimmable with the included controller. Can you put in a brighter light bulb? 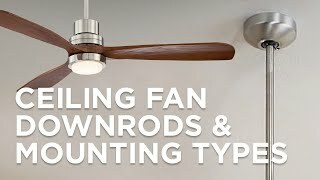 And would the light on this fan be sufficient to light a room? BEST ANSWER: Hi - the LEDs are built-in (integrated) and there are no other brighter options offered. The light output is comparable to a 60 watt incandescent bulb which should be enough for most smaller size areas. Is this fan whisper quiet? BEST ANSWER: Hi - Yes, this is whisper quiet and great for bedrooms. 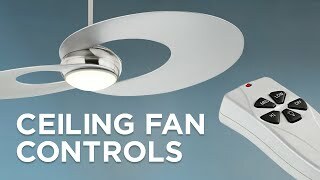 Can this fan be controlled from a wall switch? BEST ANSWER: H- The fan lights and fan speeds are designed to only be controlled by the included hand-held remote/wall control. Can light be taken off/?don’t need it. BEST ANSWER: Hi - I am sorry, this fan does not offer a cap for the lights. This is a great fan and was exactly as I expected. 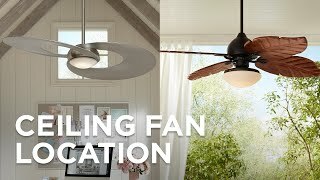 Titanium finished with matching bladesthis ceiling fan has a modern look and includes an integrated opal glass light kit for bright illumination. A stunning weathered oak finish brings an extra layer of character to the shapely wood blades on this aged pewter ceiling fan. Handsomely carved walnut wood blades pair to give this brushed steel finish ceiling fan a remarkable silhouette.